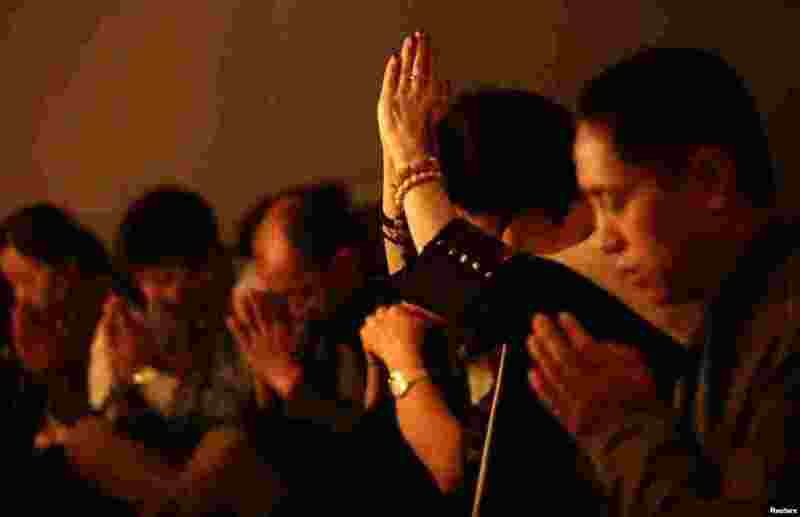 1 Relatives of passengers on flight MH370 pray at a praying room at Lido Hotel in Beijing, March 24, 2014. 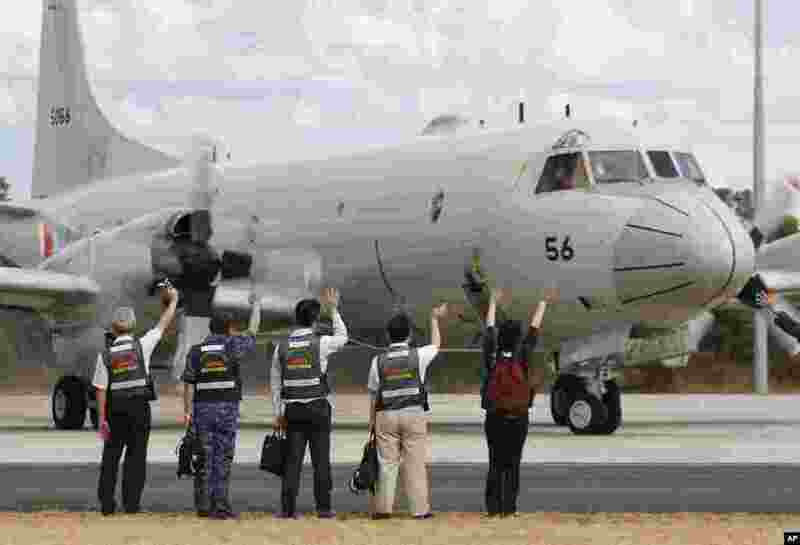 2 Members of Japan's disaster relief team wave to a Japan Maritime Self-Defense Force aircraft as it prepares to to search for flight MH370, at the Royal Australian Air Force base Pearce in Perth, March 24, 2014. 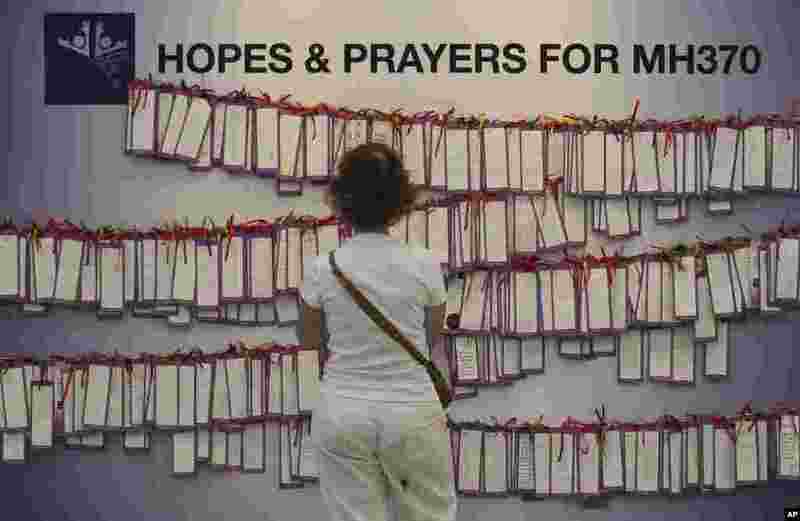 3 A woman read message cards for passengers aboard flight MH370 at a shopping mall in Kuala Lumpur, March 24, 2014. 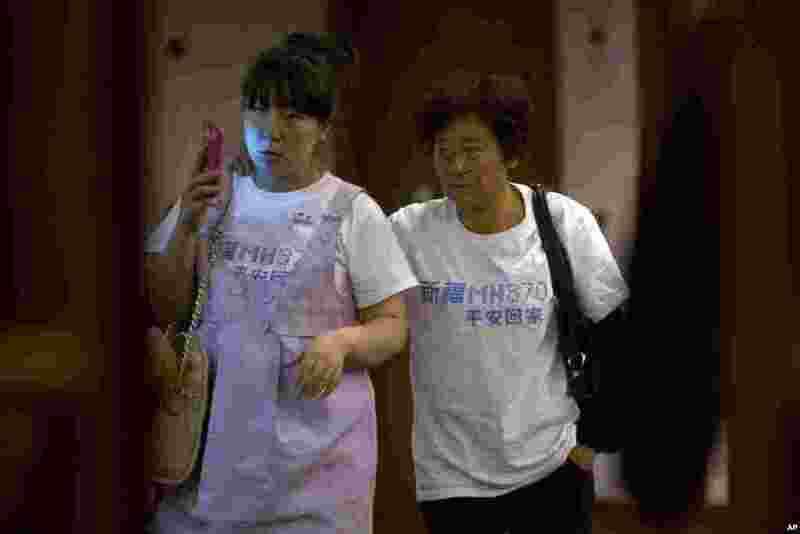 4 Relatives of Chinese passengers aboard missing flight MH370 walk out from a meeting room in a hotel in Beijing, March 23, 2014. 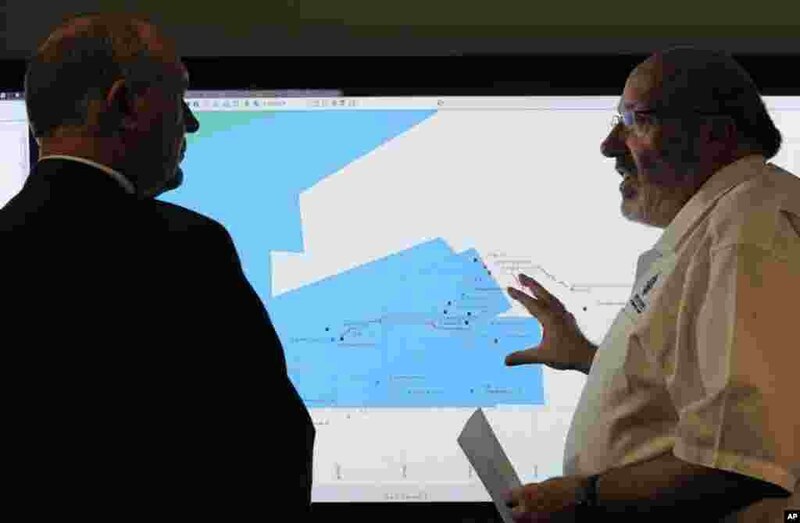 5 Rescue coordination chief Mike Barton shows Australia's Deputy Prime Minister Warren Truss the map of the Indian Ocean search areas at a rescue coordination center in Canberra, March 23, 2014. 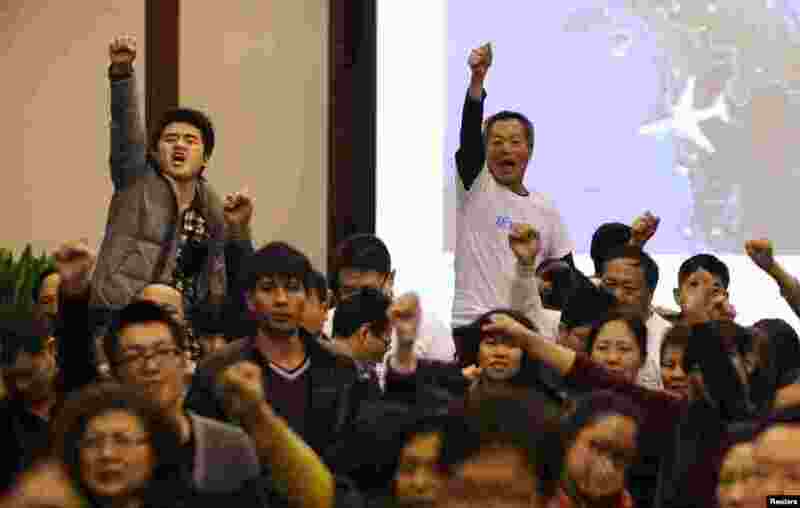 6 Family members of passengers onboard flight MH370 raise their fists as they shout "return our families" at the Lido Hotel in Beijing, March 22, 2014. 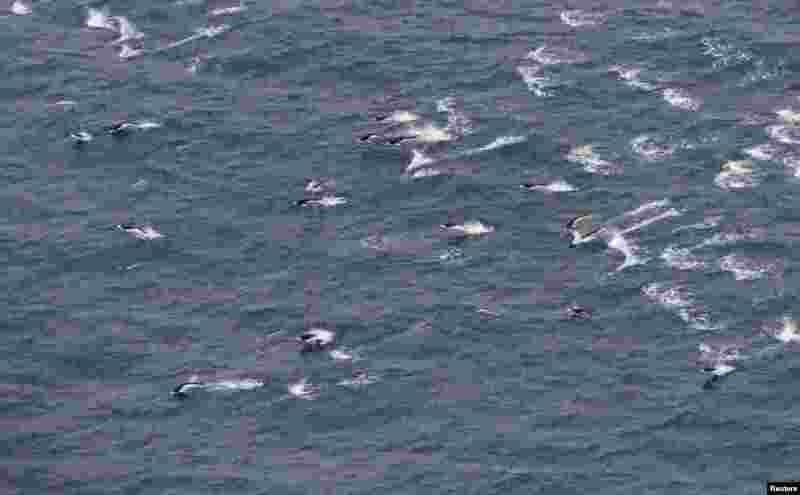 7 A pod of dolphins is seen from a Royal New Zealand Air Force aircraft searching for missing flight MH370 over the southern Indian Ocean, March 22, 2014. 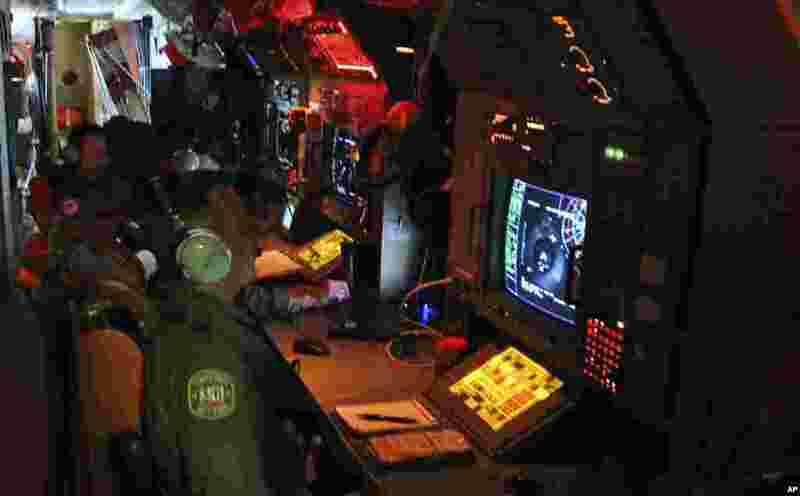 8 Australian aircrew members man radars and sonar as they search for flight MH370 in the southern Indian Ocean, March 22, 2014.